From the steeps of day three to the desert for some rocky, wild stages in a pretty unique setting in Alexandra. Day four means the racing is nearly over with one final day to go. 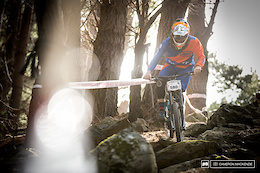 The Enduro World Series has announced a three-year partnership deal with IMG which will see 24-minute highlight shows broadcast on TV, as well as the addition of Ric McLaughlin and Tracy Moseley as presenters for the 2017 season. 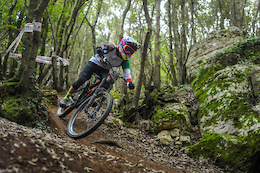 Take a ride on the trails of Sanremo as the "Irm" takes the opportunity to get some training in. The Bangalore Mountain Festival 2017 saw riders from all over India and Nepal head to the rocky terrain to battle it out against the clock. 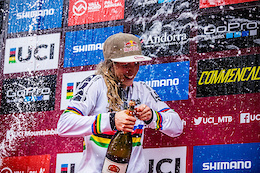 In 2016, for the first time in the history of downhill, a rider had the perfect season, winning every UCI DH World Cup followed by the World Championships, that rider of course, was Rachel Atherton. This is a look back on her incredible season. 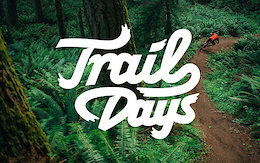 Amaury Pierron ripping some of the freshest trail we've seen in a while. 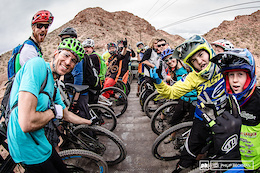 For the 18th time, thousands of mountain bikers converged on Tucson's Sonoran Desert to celebrate the bicycle at the 24 Hours in the Old Pueblo. 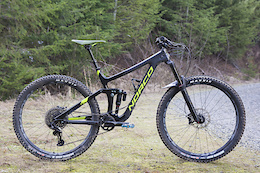 Norco is working on a new, wild looking downhill bike, and they're going about it in an unusual way. 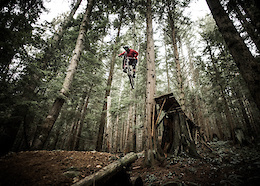 Here's a little look at what's coming up this season at Blue Mountain Bike Park. 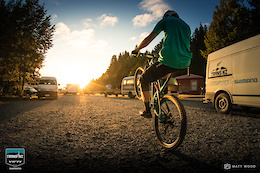 You can't beat the beauty of golden hour, the only way to improve on it is by riding your bike. 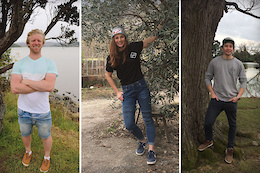 The folks behind Deity have been painstakingly working around the clock to supercharge their new look and line of products. Get all the details inside. Ever suffered with a tight IT Band? This month Abi takes us through stretches to release tension in the iliotibial (IT) band to relieve pain in the hips, knees, and thighs. 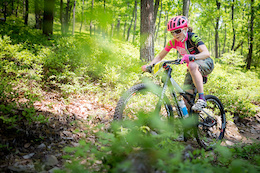 Bell has expanded the program from eight to 12 markets for 2017, helping continue its mission to get more women mountain biking, more often. 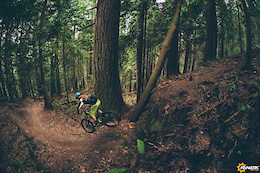 Putting work back into the trails of Ashland with Cali Enduro and Santa Cruz Bicycles. You've got to love it when a non-existent plan comes together, especially when it involves friends, bikes, and an adventure. 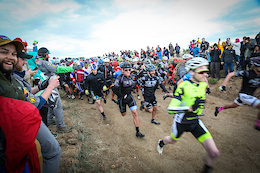 Nothing beats a bunch of randoms standing on the side of a tough section of trail, heckling up a storm. Get after it inside. Day three was a steep change from the previous day in Craigieburn. 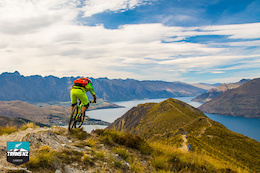 Racers headed for Coronet Peak for four stages of all-out pedalling and rowdy downhill, with a cold beer to end the day. 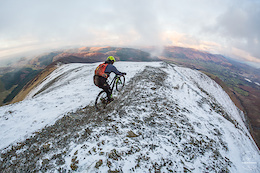 Enjoy the scenery magical scenery in this quick wintery exploration in Lakeland Fells. Dig, shape, session with friends. There aren't many things that can beat a day shredding with your crew. Giant Canada is Hiring: Could You be Our Next Warehouse Worker? Giant Canada are looking for a warehouse worker for their head office warehouse in North Vancouver, British Columbia. Full job description and details inside. 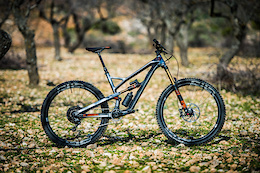 We put Morpheus' carbon downhill bike to the test. 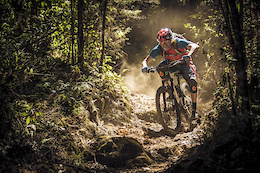 The race ends with two stages stretched over 900 meters of vertical and some of the gnarliest terrain yet, and Ludo May and Amy Morrison leave Costa Rica victorious. 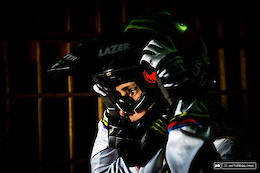 We get acquainted with TLD's latest half shell helmet. 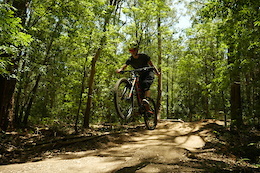 Head out to the trails and try SR Suntour's latest offerings with Kyle Warner. Mark your calendars. 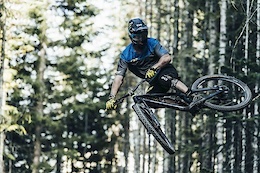 Angel Fire Bike Park has set their opening date and Demo Daze for 2017. Details inside. 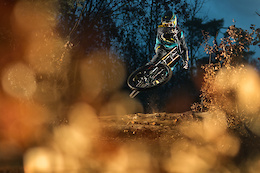 Formula are happy to announce their continued partnership with Italian based, AB Devinci team. Full details inside. 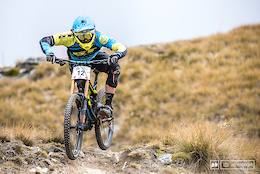 Catchup on Day 2 of the Trans NZ in Craigieburn. 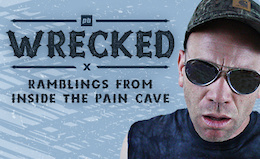 We've got 22 videos for you this week. Please enjoy. 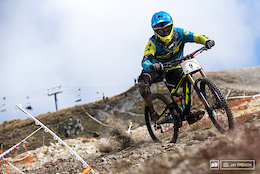 Check out all the action from the 2017 New Zealand Downhill Championships in Cardrona Alpine Resort this past weekend. 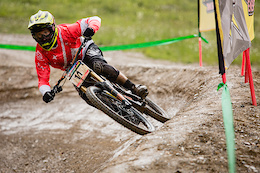 Wyn brings us all the chat from the pits at this year's New Zealand Downhill National Championships in Cardrona. 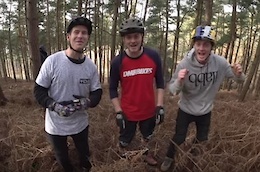 Sam and Tom Cardy take a 3 foot wooden kicker ramp out around Colchester for a day. Alanna Columb defends her title and Keegan Wright walks away with the men's title. Local government commits to an increase in funding over the next five years. 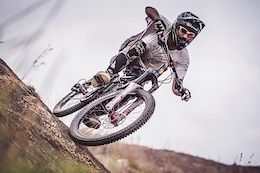 Here's what Team Psynyde got up to when they headed out to race the Bangalore Mountain Festival last weekend. 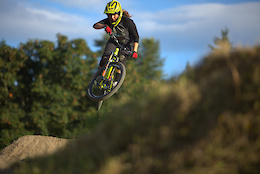 Jump on board with Agata Bulska for a lap down the New Zealand DH National Championships course at Cardrona. Straight out of the gate into the biggest day of the week: 32 kilometers, six stages, 1585 meters climbing, and 1886 meters of descending in Craigieburn Forest Park. One Vision Global Racing heads into its third year of operation with some big goals and a new rider on board for 2017. 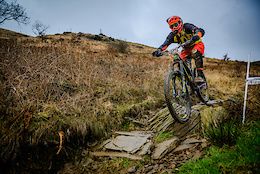 EWS racer, Rob Williams has been flat out with training during the winter, and it's safe to say he's looking good going into race season. 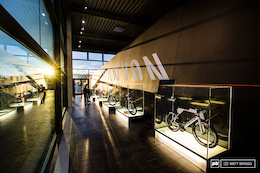 The EVO Bike Park in the south of France will celebrate its first year of operation in May. Here's a little look at what to expect. 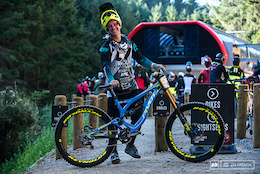 Check out all the action from the XC finals and DH practice from this year's New Zealand Champs. Head to Java, Indonesia with Matej Charvat as he coaches a local team and explores all the best the island has to offer. If this doesn't look like the perfect summer, we don't know what does. 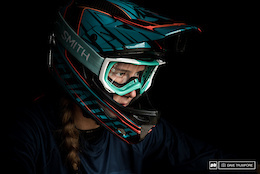 Meet Britney White, a freeriding, downhill racing, dirt jumping female shredder based out of the Pacific Northwest. 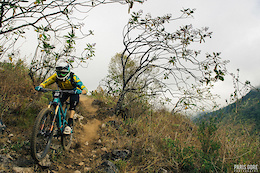 Day three of this year's TransCR brought with it a few surprises, leaving riders nervous and excited to hit the trails as things got steeper and gnarlier in Costa Rica. 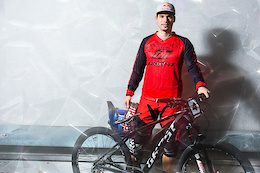 We talk to the head organiser of the Red Bull Cerro Abajo, Victor Heresmann to get the low down as the race enters its 15th year. 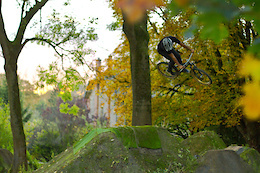 After some Sunday morning were repairs the crew heads to Nicolas Chauffier's home spot near Paris. 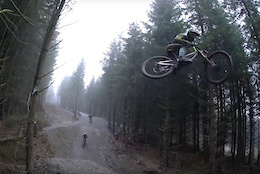 Get rowdy with YT rider, Erik Irmisch as he sessions local trails aboard his Tues in Germany. Neck brace use seems to be on the decline, from professional racers to weekend warriors, there are less of them out on the trails. But why? 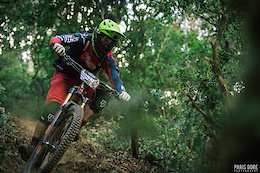 The full lowdown from the ground on Day 2 at the Trans Costa Rica enduro. 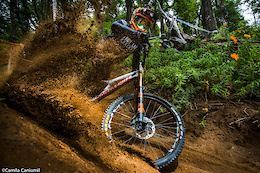 Pinkbike Poll: Do You Even Off-Season, Bro? Are off-seasons a thing of the past? 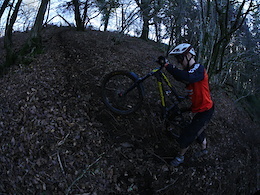 Paul Aston thinks that twelve straight months of riding is the way to go - how about you? Aggy at Retallack Lodge. Need we say more? Join the team as they get some sunshine and prepare for their 2017 season. 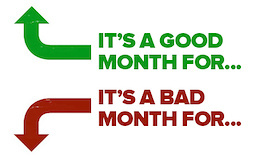 Is spending nearly four figures trying to slow your bike down really worth it? Learn more about Kenny Belaey's unorthodox slackline riding. 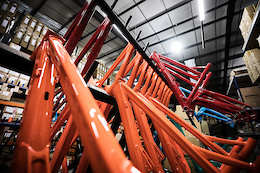 We take a look inside the three sites of iconic British brand, Orange and discover how a sheet of aluminium gets transformed into a bike. When Rob Welch was diagnosed with degeneration of the patella, it changed things, but for him and his riding, it opened up a whole world of new possibilities. As he says, "it was a blessing in disguise and the fire is still burning." 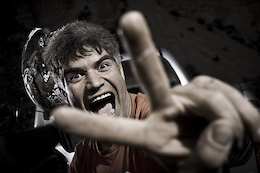 This year, Vee Tire Co. is proud to welcome Vincent “Vinny T” Tupin as their freeride hero. 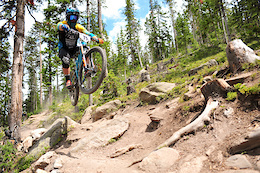 Brannigan sending it to the moon. 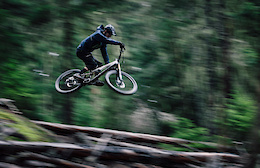 If you don't get excited to ride after watching this, you might want to check your pulse. 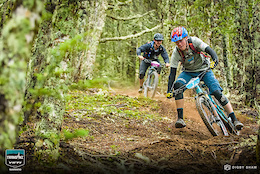 This Sunday the third annual Yeti Trans NZ will kick off once again bringing with it five days of amazing racing and coverage as riders explore some of the most amazing riding in New Zealand. E-bikes are coming, but at what cost? Mike Kazimer voices his opinion on the topic. 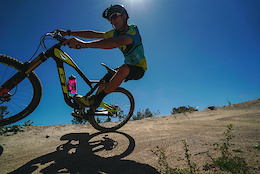 There's plenty of controversy surrounding e-bikes - Matt Wragg thinks that welcoming them is the best tactic. 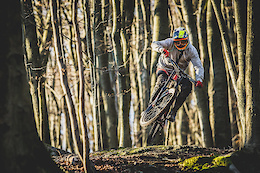 The winter has been unusually warm in Switzerland this year, and if there's no snow, you may as well make the most of the dusty trails. 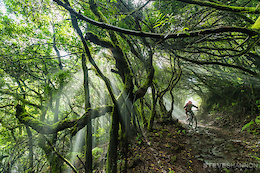 The TransCR has taken riders away from it all into the middle of the Costa Rican jungle. 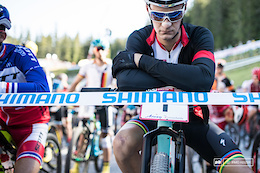 After a wild bus ride, racers had one stage to race, and one thing's for sure, they've got some incredible riding in store for the coming days. 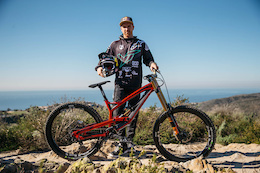 Who better to put the new Jeffsy 27 through its paces than Aaron Gwin? 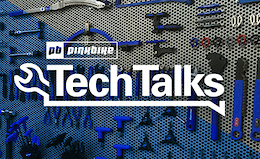 Listening to what your derailleur has to say is just one setup trick that Calvin has for us. 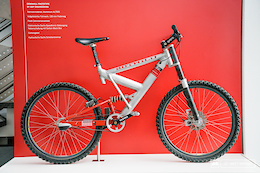 The RDH1 was a concept bike for Rotwild that never saw the light of day, but it's still likely to resonate with people now, 20 years later. This video from Ratboy and Loosedog's adventure is straight up brilliant, and you'll be glad to know someone finally decided to include subtitles for the talking, so now we get the whole picture. 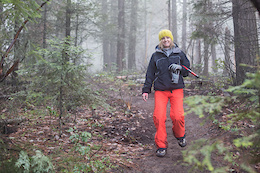 Tired of piling on the layers to stay warm? 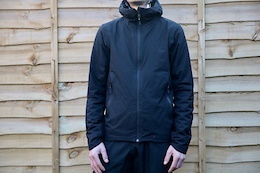 Gore's Thermium jacket was designed to help make those chilly rides more enjoyable. Head to the desert with Andrew Taylor and his buddy, Lasse Mørch Jensen for nothing but good times as we check in with episode one of Freewheelin'. 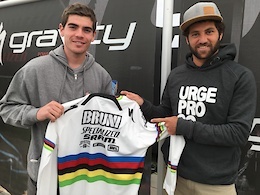 KHS are pleased to announce that Bruce Klein will be racing for them throughout the 2017 season. 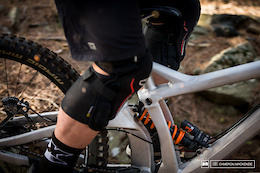 Jay Balabas, his passion for mountain bikes, his crash and how it inspired him to put on the TransCR. The Range gets longer, lower, and slacker for 2017, and there's now a 29" version. 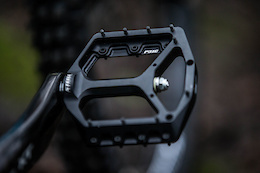 A new flat pedal option is coming thanks to UK-based Steele Industries. Targeted at entry-level enthusiasts, the worksman-level Deore ensemble shares the look and many of its features with XTR and XT. The second year FMB Gold Event is set to be one of the more unique on the 2017 calendar. 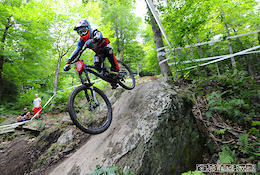 The Eastern States Cup North American Downhill team has a busy schedule for 2017. Get all of the details inside. Head into the desert with Darren Berrecloth and Ricky Brabec as they get busy shaping and riding lines they scouted on the motos. 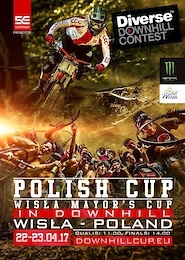 On 22-23 April, the Polish cup kicks off in Wisla as the Diverse Downhill Contest heads into its twelfth season. 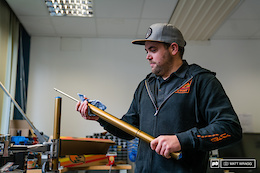 Steve tackles the suspension setup and thoughts of "correct setup". 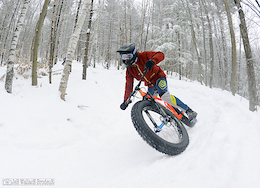 Hundreds of riders from around the north east headed to Highland for lift assisted fat bike fun times. 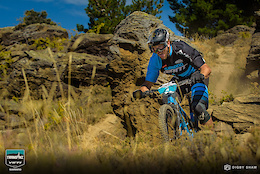 Thirty7even are stoked to announce that Tomas Slavik and Manual Gruber will once again race in Thirty7even kit for the next two years. 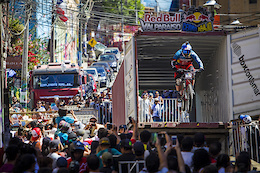 15000 spectators took to the streets to watch racers navigate the obstacles of Valparaíso Cerro Abajo. 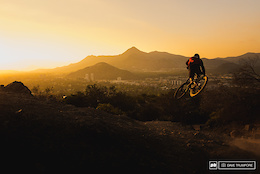 Czech Republic’s Tomas Slavik dominated this year’s Red Bull Valparaiso Cerro Abajo, securing his first ever title after a tight race against the clock. Heading out on a road trip and don't have room for an air compressor? That's where the Air Tool Blast comes in handy. 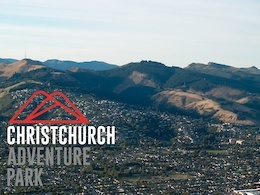 Update: Following the fires in Christchurch, the Christchurch Adventure Park has warned people against the use of drones declaring the park a no-fly zone as fire crews continue work in the area. 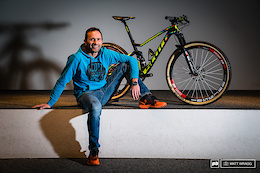 We chat with Scott Bikes, Pascal Ducrot, on everything from race teams to e-bikes and all in-between. The park shredder is set to light the internet on fire on board Cube frames through 2018. Full details after the click. Richie Rude will be joined again by Cody Kelley and some new national roster names. 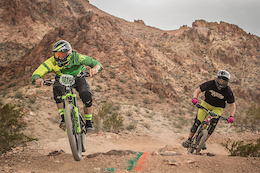 While the rest of the country thaws out and begins to think about race season, the folks in Nevada are about to wrap their winter series up at DVO Reaper Madness. The first contest of the year for most saw the level of competition exceed what the organsiers, riders, and audience expected as athletes headed to London for Air to the Throne. Here's what went down during the event. 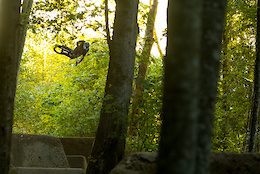 Jump on board with Richie and ride Squamish's Angry Midget quicker than most could ever dream. Learn more about the winning image from our Photo of the Year contest for 2016 in our interview with Steve Shannon. 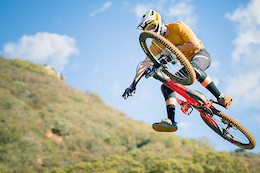 With 29" wheels, 150mm of travel and slack geometry, there's not much the Slash can't handle. Entries are now open for this year's HSBC UK National 4X Series. Full information on dates and locations inside. 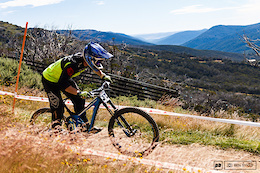 It's been a few years since the national series landed in Mount Beauty, with some fresh work on the raw and unforgiving track, racers were kept on their toes and pushing their limits all weekend. 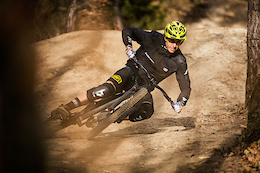 The first EWS Team Focus video of 2017 goes into Canyon HQ. 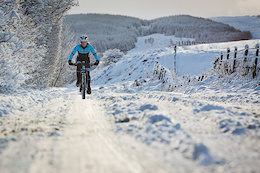 Katy Winton grew up on the Scottish Borders and knows how to make the most of the winter 'dreich'. 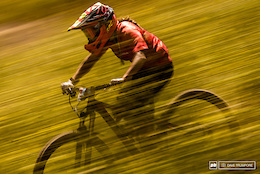 Spend some time with the 23-year-old EWS racer and learn how her home and surroundings drive her to succeed. 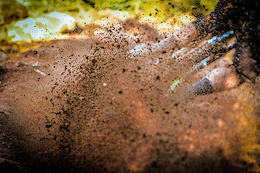 The calm after the storm saw racers take on hero dirt at round four of the KMC winter series in Fontana last weekend. Here's a look at what went down during racing. 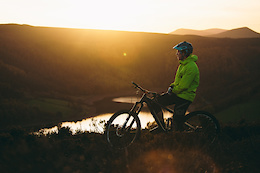 Head to Aviemore to spend some time with Scottish mountain biker, skier and all round energetic rad guy, Kyle Beattie as he gets stoked on riding. The 2017 series wraps up in Dunedin with George Brannigan and Alanna Columb taking home the last bits of gold up for grabs. 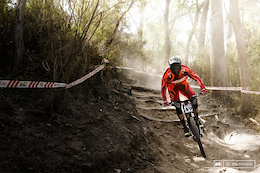 Bikes of the privateers and professionals at this weekend's Australian national DH race. 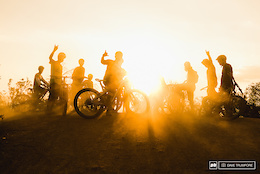 This is the story of the Forest Crew, a group of friends doing what they love most; riding bikes, drinking beers and having a good time. The weather in Minnesota may not have been frosty, but we still have some shiny goods for you to take a look at. Dive in. 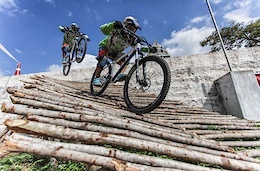 The Bali Bike Park has seen some of the world's biggest names hit its trails, but manager Alex Springenschmidt realised that some of Asia's best riders hadn't had the chance to see what the park was all about. This is their turn. 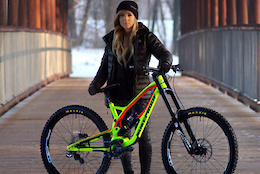 Is This GT's New DH Bike? 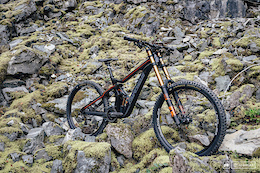 Wyn and Brook are on prototype downhill bikes at this weekend's New Zealand national race, and we look at how it's different to the existing Fury. 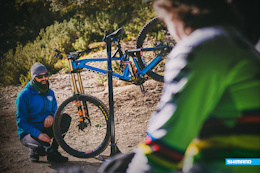 Go behind the scenes with Velosolutions and see exactly what goes into building one of their pump tracks as they team up with Andrew Neethling in South Africa. 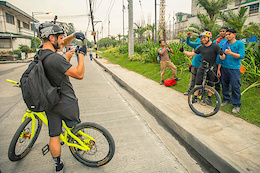 Danny MacAskill, Duncan Shaw, Ali C and Fabio Wibmer flew to the Philippines in December for the final Drop and Roll Tour show of 2016. You've voted and we've got a winner in the 2016 Photo of the Year Powered by SRAM contest. Full details inside and congratulations to our winner. New year, new venue! 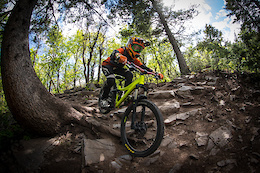 The Pro GRT will be starting out the year at Neko Mullaly and Sean Leader's newly built Windrock Bike Park, March 8 - 12. Northwest Tech's approach to design allows the rider to layout pockets, choose features and select from an assortment of colors. On 25-28 May, the US Open will make its long-awaited return. 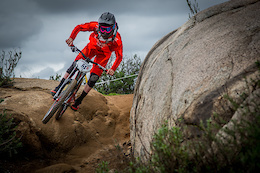 With riders like Aaron Gwin and Neko Mulally confirmed to attend, make sure you head to Mountain Creek Bike Park on Memorial Day Weekend to check out the racing. It's coming! 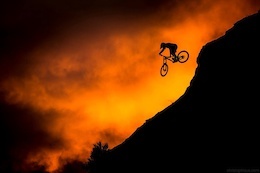 The world premiere of Ride Your F#%king Your Bike - The Movie is around the corner. Details inside. 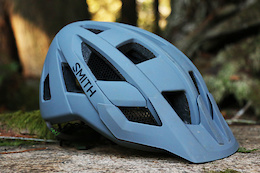 We give Smith's newest mountain bike helmet a try. How awesome does this look? After countless months of hard work and passion, the Revolution Bike Park's collaborative masterpiece with the 50to01 tribe is nearly ready for you and your crew to shred. 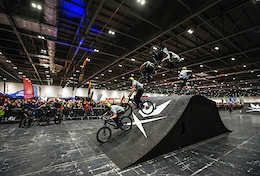 From tandems to pressures washers, there's a little bit of everything in this report from the London Bike Show. 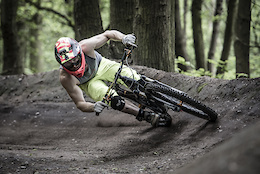 The two time and current German National downhill Champion will be racing with Nukeproof for 2017. Shimano is proud to announce the addition of the Radon Factory DH and XC team to their athlete roster for 2017. Enduro legend and Mégavalanche Champion is looking forward to new projects in 2017. 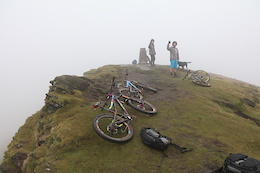 Earlier this week Cycling UK released their 'Rides of Way' cycling report which provides a unique insight into off-road riding in the UK. 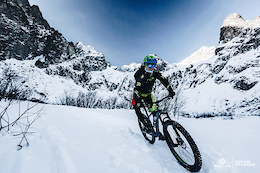 Just because there is snow on the ground, doesn't mean you can't get out for some stunning winter riding. 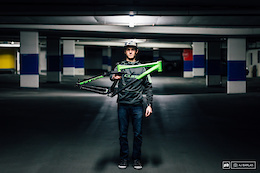 Ryan Morris the type of guy to put everything he has into the trails he rides, from time spent building them, to pushing himself on the jumps, he's the type of guy who makes the riding community what it is. 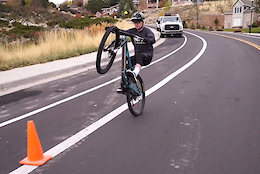 Tyson Richens is only 15, but you only have to watch this edit to see that he's the kind of rider that has the kind of ability some people strive for and never quite reach. 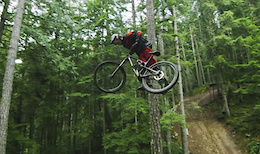 Skydiving, DH bike hucking, and berm blasting - the Intense team knows how to have a good time. 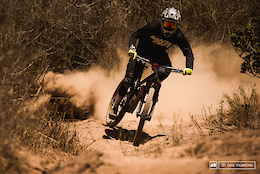 Radon Factory rider, Faustin Figaret has a pretty sweet spot for training, the track he's riding has a bit of everything and looks like the perfect way to get ready for race season. 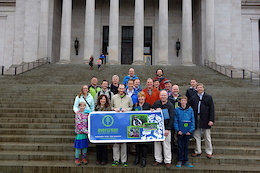 Evergreen needs you to join them on February 22nd to personally meet with your Senator and two State Representatives to talk about mountain biking in Washington. 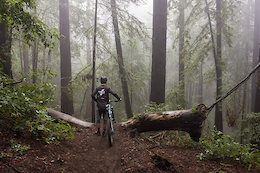 A little rain isn't going to stop Eric Lawrenuk from enjoying the Coast Gravity Park's flowy trails. 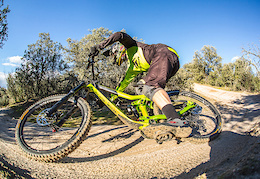 Merida are pleased to announce the signing of Spanish Enduro rider, Toni Ferreiro to the Merida team. 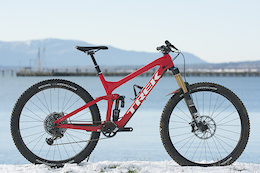 The comparison test everyone has been waiting for: two identical bikes, one gearbox. 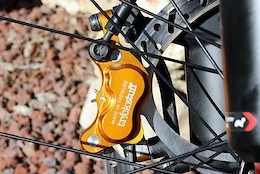 and one derailleur. Which came out on top? Is It Still A Ride If You Don't Leave Your House? 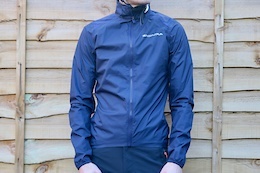 How to go for a ride without leaving your house... sort of. 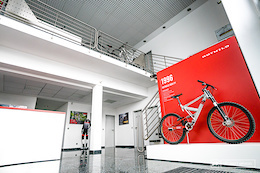 Rotwild has 20 years' experience producing bikes for their niche. Take a look behind the scenes and get a taste of their history in this photostory. The series will be comprised of eight rounds hosted in city centres in seven countries on three continents. 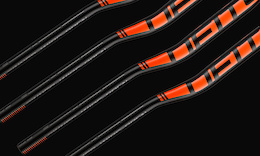 Obsessed with achieving the ultimate suspension tune? 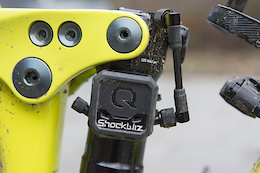 Quark's ShockWiz could help. Catch up on what went down at the final Fest Series of 2016, RoyalFest, after the click. Need a need a light, strong and reliable kids bike? The new Dreckspatz is the could be a good choice. After a year of planning and one heck of a journey north, Andrew Taylor makes it to his final destination, Alaska. 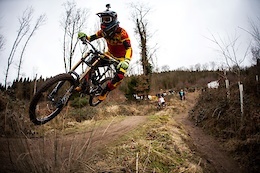 Just under 300 riders braved the cold, wet conditions as they took one round one of the Welsh Gravity Enduro Mash Up at Afan last weekend. Here's a recap from the race. 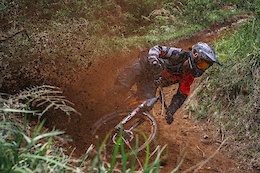 Connor Fearon corner slapping, jump brapping the Kona Hei Hei Trail on the trails of Retallack. 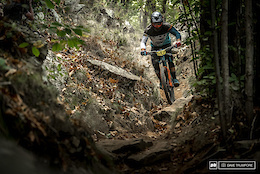 You only need to look at coverage from the EWS when it rolls into Finale Ligure to see how amazing the trails are, but if you need any more convincing this should do it. 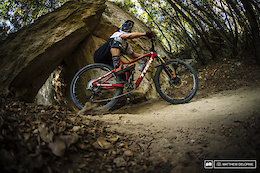 Get a glimpse of the speeds that Gwin hits corners at in this GoPro Telemetry run down his backyard trail. 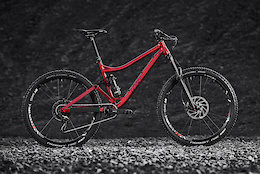 YT have gone and made a 27.5" wheeled version of the Jeffsy - our first impressions are that it really likes to party. 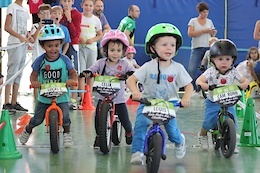 On 26 February, the second Kids Rider Bike Challenge will be hosted once again with the hopes of inspiring kids as young at two to keep riding their bikes and bringing young people into the sport. 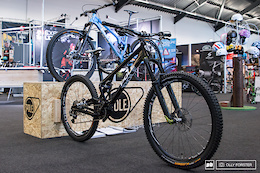 Pivot Factory Racing's latest member shows us his bike at the Christchurch round of the New Zealand National Series. 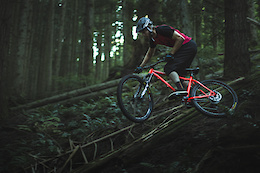 The new Jeffsy 27 has nothing to prove when it comes to numbers, because it's not about the size, it's how you use it. Tips for manuals from the man that helped start the whole #wheeliewednesday craze, Wyn Masters. After 5 days of intense racing, the Santa Cruz Andes Pacifico 2017 finally arrived at the amazing Pacific Ocean. Watch the full recap inside. Keith Darner, current director of Chocolate Bunny Productions, teams up with Dave Scully, race director of the Enduro-X, to produce the new RMES. 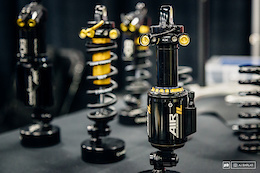 The Tuesday Tune takes on a range of myths surrounding suspension, from setup, to oil and midstroke support, the ranting and rambling should clear things up for many. 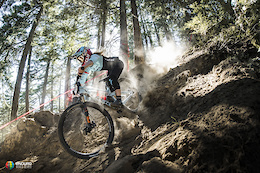 Three riders with three different riding styles take to the trails all over the world on the NS Bikes Carbon Snabb E.
Rachel racks up another award for her amazing 2016 season. Congratulations Rachel! Two individuals, so in sync, inseparable, and the unstoppable force behind Deity. 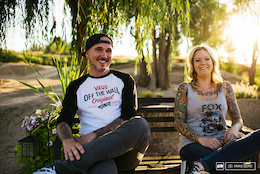 Before the relaunch of the brand that will see new products and a new direction for the company, we focus on Sadie and Eric, who through their love for each other and the love for what they do, continue to drive the business to new heights. 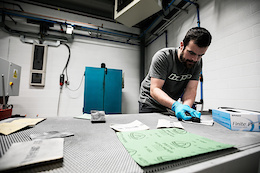 Find out more about how the owners of Deity met, their company values and how they've worked together to get where they are today. Long-term report on what may be their most important new product since the reorganization of the brand. 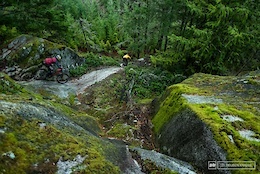 Richie gets put to the challenge of taking the KOM on one of Squamish's favorite trails. Did he do it? Details inside. North East racers, it's time to get your calendars out. The final round is here. Get in and vote up the images that you feel best deserves the title of 2016 Photo of the Year Powered by SRAM. 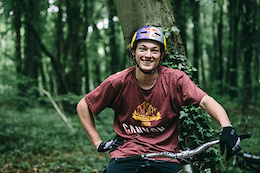 The C3 project adds new talent for 2017 as young Swedish rider, Emil Johansson joins the team with of some of slopestyle's finest. 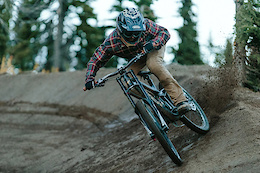 Evergreen's 5th Annual Winter Stoke Photo and Video Contest was held at Gerk's Ski and Cycle last Saturday. 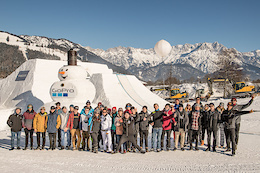 Here are the winners from this year's contest. 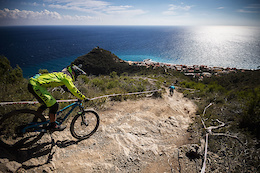 Take it easy and have fun on your bike. It's that simple and Fox Head look to remind everyone of this with their upcoming film. Check out the trailer for more. Shimano will support the team for the next two years. Gravity Canterbury and Christchurch Adventure Park played host to the latest round of the New Zealand Downhill series - Lots of sun and a brand new unridden track made for the rowdiest, loosest, dust fest! 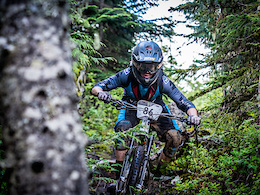 Hundreds of racers headed out over the weekend to challenge themselves on Bootleg's notoriously nasty rocky trails for round two of the DVO winter series. 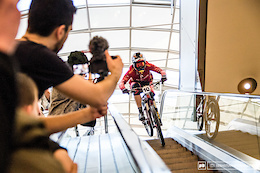 Catch all the action and interviews from the urban race in Manizales as local and International racers went head to head through the streets. 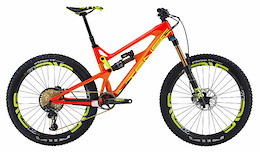 There are more 29" trail bikes on the market than ever - where does the 120mm Django fit in? 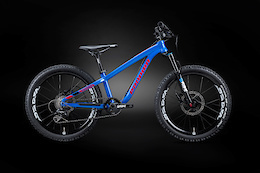 Salsa's latest creation has 90mm of travel and rolls on 29 x 3.0" tires. 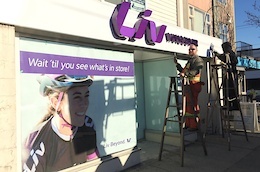 The Liv Vancouver bicycle boutique is all set to offer female focused products and services. 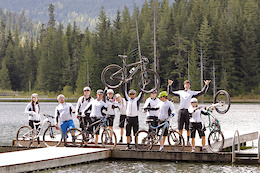 After racing 18 stages totaling 140km over five days, riders finally make it to the Pacific Ocean. 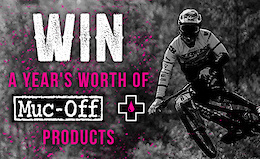 Win a year's worth of cleaning products from Muc-Off in this contest. 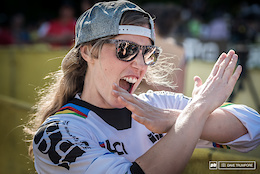 Today is the last chance to have a say in who makes it to the finals for the 2016 Photo of the Year Powered by SRAM. Bid on some cool items to raise money for an orphanage in Kathmandu. 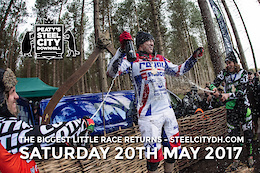 On 20 May Peaty's Steel City downhill will return to Sheffield’s Greno woods for the seventh year. Entries open in March so make sure you keep an eye on the website. 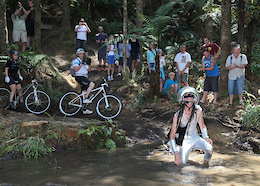 Bikes, bikes and more bikes - take a look at what racers were on during this weekend's race in Rotorua, NZ. 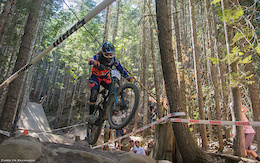 PMBIA is proud to announce official relationships with Whistler Mountain Bike Park, IMBA Canada and Canadian Association of Snowboard Instructors. SE Racing and Promotions is stoked to announce the 2017 Dunbar Summer Series schedule, presented by Specialized. Get your last fix of indoor mall racing for 2017. 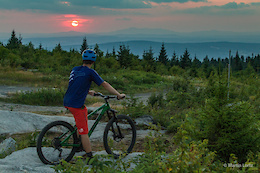 Tucked away in the eastern corner of Quebec’s southern region, close to Vermont and New Hampshire is where you will find the hub of the Circuits Frontières trail system, Mont Hereford, and some fantastic riding. 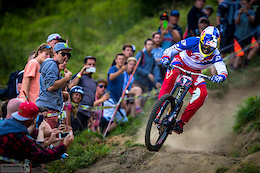 Things are hotting up in South America as round two of the iXS Downhill Cup got underway in Chile. Find out who finished where right here. It's a one, two podium for Pivot athletes Bernard Kerr and Rupert Chapman followed by Matt Walker in third. 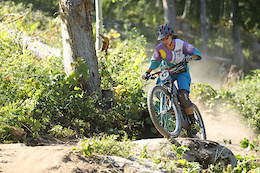 In the women's field, Alana Columb asserts her downhill dominance. 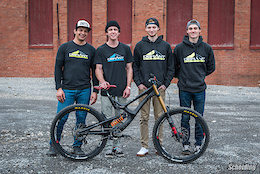 NS Bikes are pleased to introduce the 2017 NS Bikes Factory Racing Team. 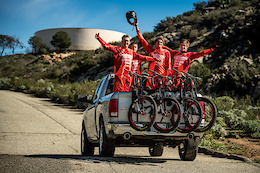 The team will be racing downhill at World Cup level as well as competing in European events throughout the season. 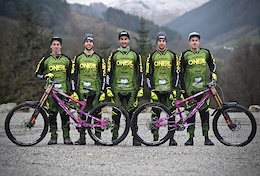 Throughout this year's Downmall series the CTM Racing Team were hard to miss in their custom race kits. 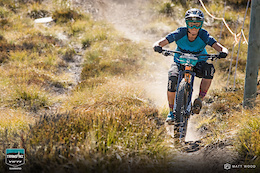 Get to know New Zealand's top female enduro racer. Racers are only a day away from the Pacific Ocean but the the battle for first place is far from over. 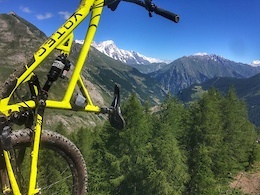 High alpine snow to loamy valley floor riding in this video of from Norco. Get it after the click. 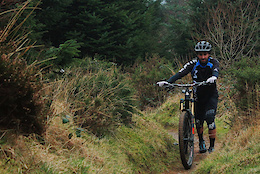 Join Kona on a different style of adventure in Ireland. 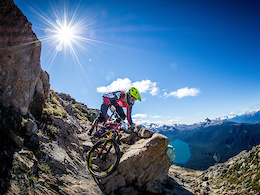 The 2nd annual Whistler Spring Classic Enduro is happening on May 27-28, 2017 and it's an Enduro World Series (EWS) Qualifier. Get there! 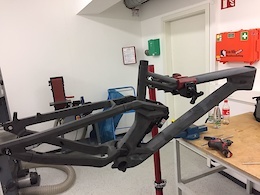 The writing is on the wall...the bike business is slowly, but surely, following in the footsteps of nearly every other market: More and more riders are choosing to skip the local bike shop and buy directly from brands online. Is this a change you find yourself currently embracing or struggling with? 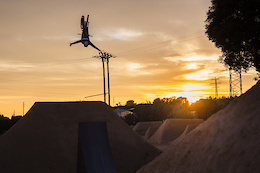 Evoc's latest collection of huck-to-splat vids are ready to check out. 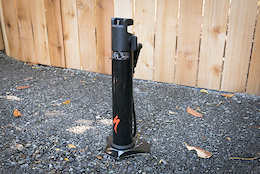 Is Cane Creek's DBcoil [IL] a true alternative to a modern air-sprung shock? 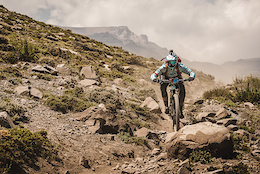 Riders are faced with another massive day in the Andes as they set out for day two of competition. 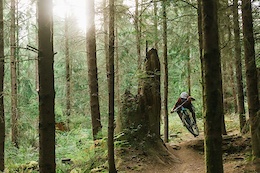 Cam, Fraser Newton and Adam Billinghurst hit the burly lines in Squamish. 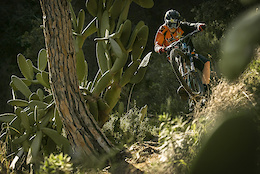 Elite enduro racer Rob Newman getting zesty in the woods. 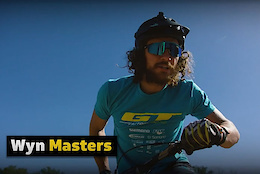 Live in South Africa and want to see the likes of Andreu Lacondeguy, Olly Wilkins, Cam Zink, Matt Macduff, Adolf Silva, Kurt Sorge, Aggy, and Nico Vink go head to head in a whip off? 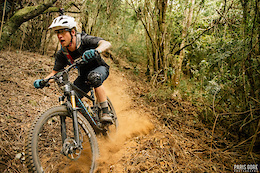 Head down to Garden Route Trail Park on 11 February for the spectator open day to see them in action. I'm all in favor of our candidly and passionately disagreeing with one another. We can disagree, however, without being douchebags. And, make no mistake, the amount of name calling, flaming and general feces-flinging going on in our forums these days amounts to douchebaggery of the highest order. 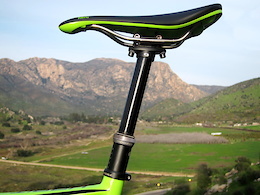 Take a first look at the new Slide 160 Carbon. Dylan's Dark Roast Diaries are back for the new year, and it kicks off with some quiet and simple time aboard his cross bike. 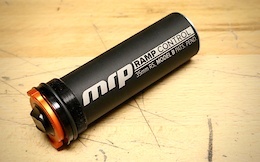 MRP's aftermarket cartridge provides on-the-fly bottom-out control for your suspension fork. 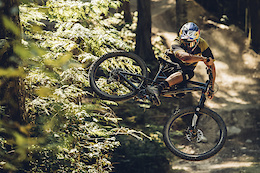 Watch the likes of Andreu Lacondeguy, Nico Vink, Kurt Sorge, Graham Agassiz, Gilles Dejong, Vincent Tupin, Kyle Jameson and Antoine Buffart go huge as ShapeRideShoot serves up part two of his best footage from the past few years. 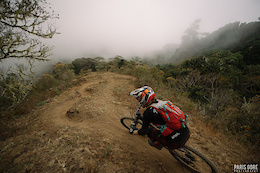 Race action from days one and two of the Andes Pacifico. Get it after the click. 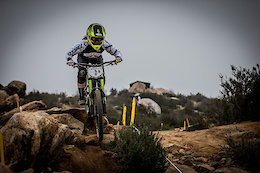 We talk to Manon about her new team, healing up from injury, and student life. 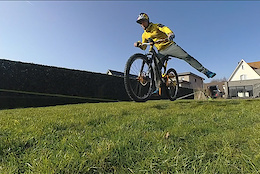 Harry Molloy heads up the new rider led World Cup downhill team for 2017. 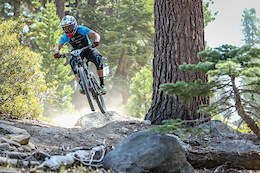 Three of the gnarliest courses from the California Enduro Series have been made into a series with a $24K Pro Purse. Full details inside. Andreu, Aggy, Zink and Sorge have arrived and next week's sessions are going to be banger. 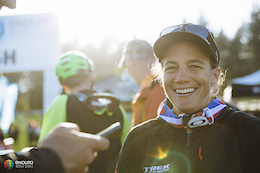 The team rolls into its 7th year with a full roster of returning riders. 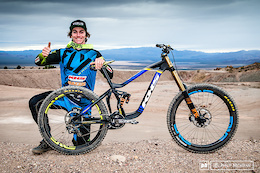 In just 11 seconds, Markus Stöckl earned his place in the record books once again when he hit 167.6 km/h hurtling down a mountain in Chile’s Atacama desert. 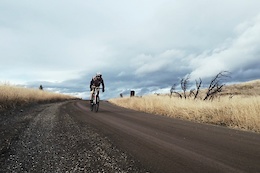 Check out the videos from his ride and preparation training here. 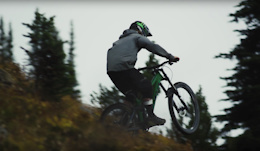 Bengel heads to British Columbia to explore and ride the area where freeriding was born. 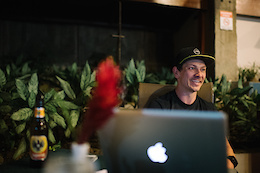 IMBA has a new leader and he's no stranger to either racing or building trail. 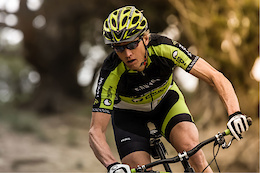 Mountain Bike Hall of Famer, Dave Wiens, takes the reins of the International Mountain Bicycling Association. There's nothing better than hitting the trails after months of waiting for the snow to disappear, even if it's only for a short time. 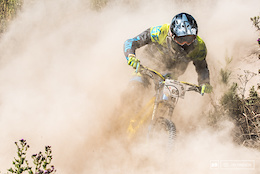 Chile has been swept by devastating wildfires and the organisers of the Andes Pacifico Enduro want to give back to the communities affected. 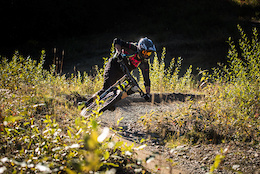 It seems Baxter Maiwald has more than a few talents as he takes on the role of videographer in this edit of Jack O'Hare, trail builder, racer and purveyor of good times during their stay in Queenstown. 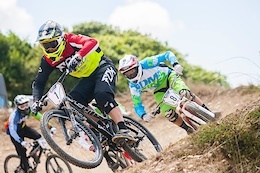 Tracy Moseley and Jerome Clementz come out on top after a solid day of racing in Chile. 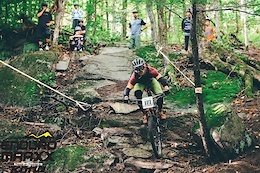 Here's your chance to have a say in recreation and riding access in the Muskoka area. The East Coast based team sets its sights on the world stage for 2017. 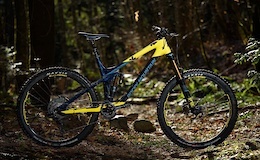 What's different when preparing a Fox 40 for the World Cup racers? Find out inside. 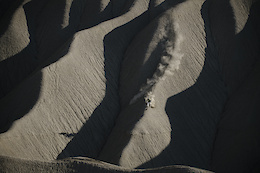 Over a century ago pioneers carved into the mountains in search of their fortune, today we do the same in search of perfect dirt. 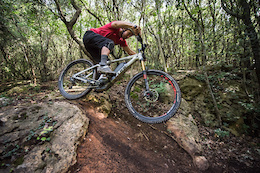 Here is the story of Texas Peak, said to be one of the most adrenaline-packed gravity trails ever created, a trail that will take you on a journey through wilderness on a route travelled all those years ago. 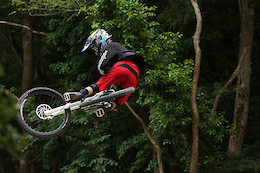 Nick Tingren shows his versatility switching from fresh trail to indoor dirt jumps. 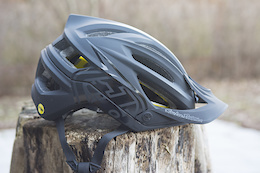 100% adds new colors and a brand new full face helmet to their lineup. 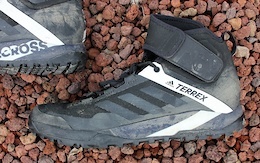 Does the Stealth rubber-soled trail shoe from Adidas stick it on the trail? Dreaming of summer? 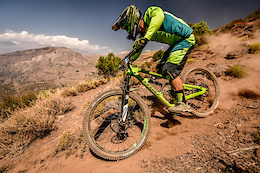 The fourth edition of the Andes Pacifico Enduro begins this week in Chile - take a look at the terrain that awaits the field of 88 racers. Kali and Macduff are excited to announce the extension of their partnership. More than 225,000 votes on so far have taken our 32 to 16, and now down to 8. Who made it through? See it all now as we roll into round three of the 2016 Photo of the Year Powered by SRAM. 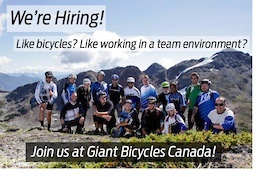 Giant Canada is Hiring! Could You be our Next Giant Retail Program Coordinator? 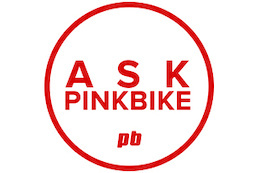 Looking for a job in the bike industry? Good with people? This could be for you. Giant Canada is Hiring! Could you be our next Demo Driver/Brand Representative? 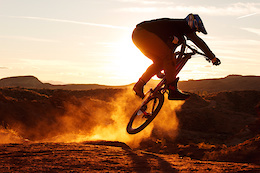 Looking for a job in the bike industry? Like to drive and good with people? This could be for you. 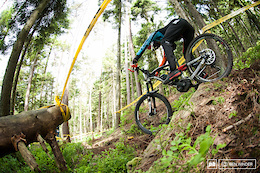 The countdown to the 2017 Enduro World Series has begun in earnest with the announcement of the public lottery, Wild Card selection and EWS Challenger Events opening for entry next week. Jean-Roch Vecten and Vincent Ancelin take a ride together around Reims, this time on e-bikes to get a better idea of the technology compared to their usual bikes. 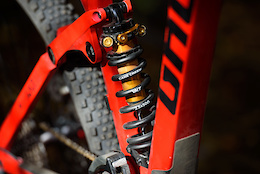 Learn more about the 'budget' version of Fox Suspension's Fit Grip damper. In Wide Open episode three, head to Caineville, UT with Darren and Ricky to scout some lines in the endless, incredible terrain the area has on offer. More travel—more of everything. 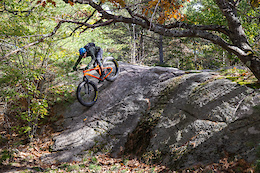 The once benevolent trail bike has become a beast. Hope Technology started out as a two-man operation in 1989. Today, the company numbers more than 120 employees. Hope’s growth, however, stems not from a desire to latch onto the latest trend. 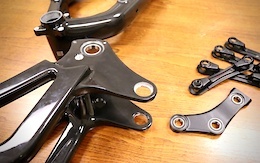 The brand has built a reputation by crafting the kind of components their workers personally want to ride. 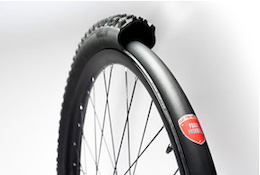 Can simply sticking a piece of foam into your tubeless tires stop punctures and dinged rims? 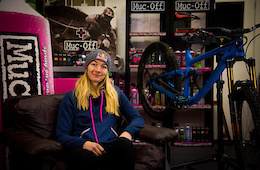 Muc-Off, the bike care specialist brand, and FMD Racing, the international downhill mountain bike team, today announce their partnership for the 2017 UCI World Cup Series season. 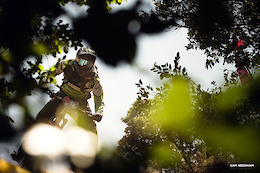 Holger Meyer, Tobi Geißler, and Sebastian Doerk head to Costa Rica and discover what may well be paradise and some of the best riding on earth. More than 150,000 votes on round one have taken our 32 to 16. 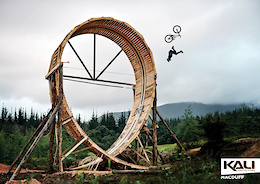 Now we open up round two for the 2016 Photo of the Year Powered by SRAM. 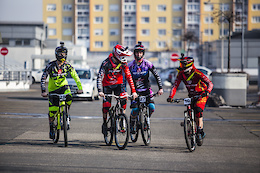 From rolling hills of Massa Marittima in Tuscany to the mountains in Santa Caterina Valfurva in Sondrio, here's a look back on the Superenduro in 2016 as we head into a new season. 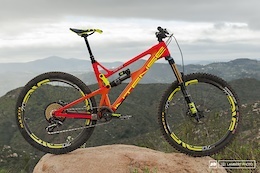 Three years in the making, Intense have released the new Tracer, available in five builds, and also offered as frame-only. July 9th, 2017 come out east and have some fun racing in Quebec! If you are a female who is under the age of 20 and looking to progress as a rider this may be the program for you! 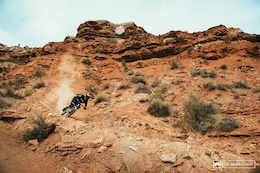 The BLM is considering opening up drilling on the original Red Bull Rampage site. If that happens, there's a very strong chance that a piece of mountain bike history (and some legendary trails) will be plowed under. 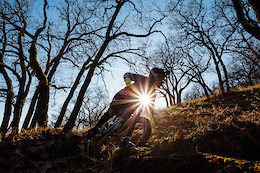 The Sierra Club is opposing the leases--arguing (among other things) that they want mountain bikers to keep riding the place. 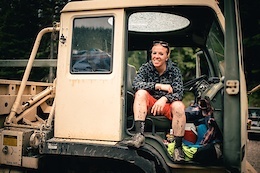 We interviewed the Sierra Club's Ryan Dunfee to get his perspective on why riders need to act fast to make themselves heard. 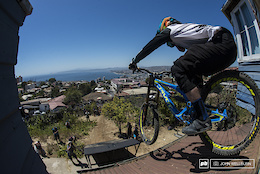 Nic Bean and Kyle Bowman work and race for Santa Cruz bikes. 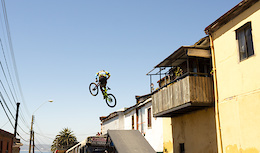 Winter is Santa Cruz can produce some prime conditions so the guys get out to shred and get ready for race season. 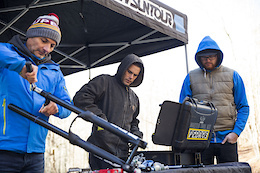 Taylor Vernon, Tanja Žakelj and Rudy Cabirou join the Unior Tools team for 2017. 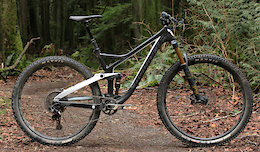 Find out if the Slayer actually does slay trails or not. Thanks to everyone who donated to this amazing cause, here are the ones that were lucky enough to win some awesome prizes. 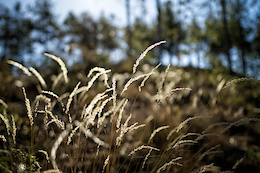 José Antonio Hermida has a career spanning more than 20 years. 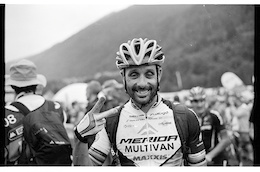 Merida have prepared this tribute to look back on his career as he retires from racing. 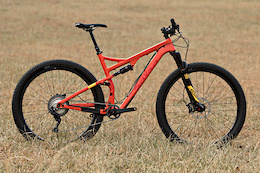 In the UK and looking to swing a leg over the latest from Specialized? Here's your chance. Find out when and where, after the click. Three lads build and ride against the clock. 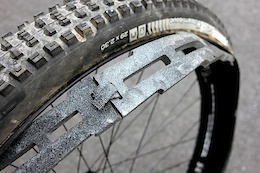 German brand LAST, proudly release their latest bike; the 140mm travel Clay. 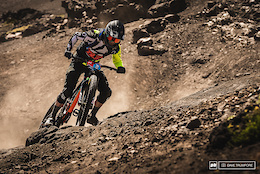 The dust has settled from this weekend’s opening race in Bariloche, Argentina and the results are in from the first round of the iXS Downhill Cup South America. Brosnan and Molloy fend off the competition at round two of the series. 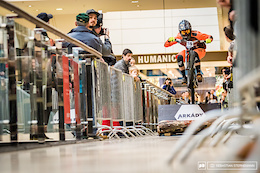 Shopping crowds in Budapest are wowed by riders of the Downmall Tour. Racers headed to Fontana for round three of the KMC winter series and found themselves facing prime conditions throughout the weekend. 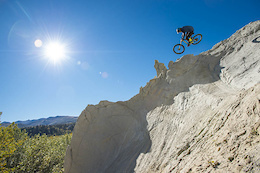 Mitch takes his Bronson on a fall ride through the streets of SLC in this upbeat video. 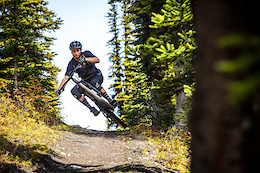 The Gillard riding area has overcome some huge challenges over the years and now in 2017, it is getting a new lease of life thanks to a partnership agreement with Recreation Sites and Trails BC all thanks to MTBco. 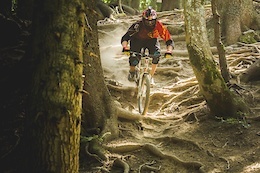 There's more to Morzine than downhill. Secret tracks, enduro loops, Crankworx Les Gets and plenty of other activities, it's an adrenaline junkies playground come summer. 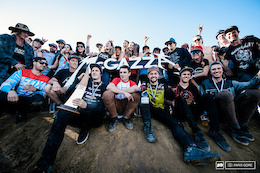 Australian riders Jack Moir and Dean Lucas join US riders Charlie Harrison and Nik Nestoroff. What's it take to become a marketing heavyweight in the bike industry? Mal Burd knows and reveals her story. Read it now. 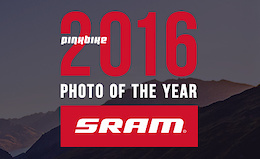 It's time to pick the winning image for the 2016 Photo of the Year Powered by SRAM. Let's do this! Trails in the autumn are a treat. Join Team Lucky Boy at their local spot, late last year, in this video. 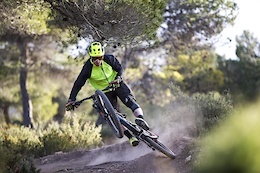 When you're so used to racing and going head to head with the clock, it's good to go back to your roots and head to the woods to have fun on your bike. The guys from Trailforks have been splicing an dicing various shapefiles from a variety of sources to build its land owner polygon database. As if we needed any more excuses to get down to Tassie, a new gravity park set to open at the beginning of 2018. 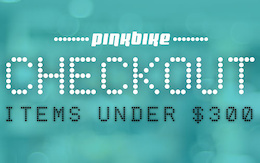 Giro shoes, an Endura backpack and 11 other products for under $300. 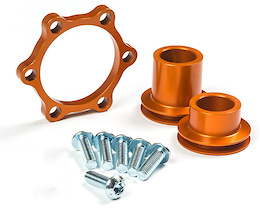 Converts 240 and 350 front hubs to Boost axle spacing without re-dishing the spokes. 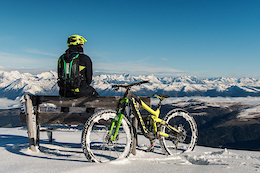 Slovenia's famed Bike Park is in search of new management. Nine tools in a package you almost can't forget? 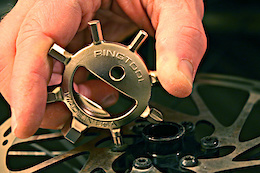 The Ringtool is a novel bit of engineering, though we had a few nits to pick with it. 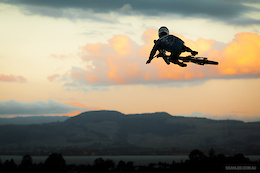 There are riders that let their riding do the talking, Forrest Riesco is one of them. Humble, passionate, dedicated, off-season is a time for him to recharge, get away from chasing the clock and take some time to just ride. BME is happy to announce a new venue for 2017 at Trestle Bike Park, a one-day race tied into the overall BME series rankings. The North American Enduro Tour is excited to announce the 2017 Tour schedule that will bring back the old favorites, but add some exciting new twists. 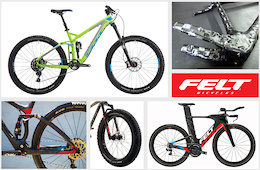 Rossignol broadens brand and product portfolio through acquisition of Felt bicycles. Does the MTR Shell tick all the boxes? We put it to the test against the British winter to find out. Here are the vids that captured your attention throughout January. 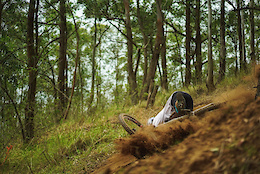 Revisit the highs and lows from the previous month on Pinkbike. After some feedback, 50to01 went back to their roots. 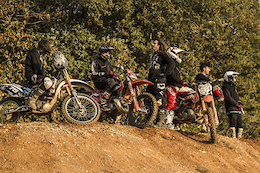 Here's over ten minutes of antics from the UK to Spain as the guys enjoy a mix of riding conditions and getting wild on two wheels. 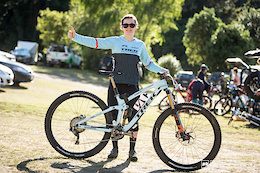 We catch up with Miranda and chat about her exciting move onto the Specialized Gravity factory team for 2017, how it's changed her preparation for the season and what she's been through to get to this point. Blasting into week 2 and the build is getting serious. The boys are working overtime and things are starting to look incredible. The 2017 Winter Stoke Party is just around the corner, you have just a few more days to get your entry in. Full details inside. 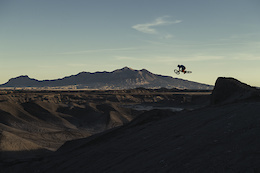 What better way to prepare for contest season during winter than head off to sunnier climes and hit up La Poma bike park. Want a crack at the $12,000 pro purse? 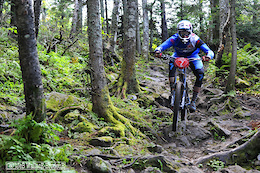 Want to participate in the IMBA National Enduro Series? 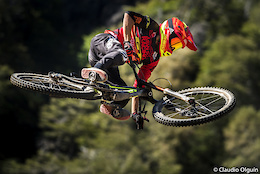 How about a shot at qualifying for the EWS? Register today! 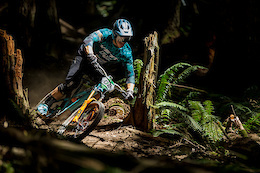 Vier Stopps, ein ganzer Monat voll mit Crankworx Bewerben und die umfassendste Mountainbike-Berichterstattung die es jemals gab. 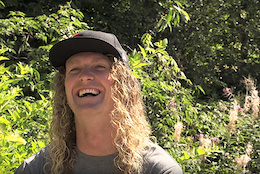 Deity's Cody Gessel going large all over the world in this bro-filmed vid, avoiding winter. Transfers after the click. 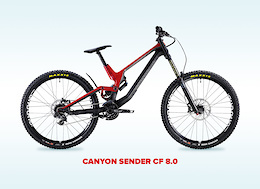 Canyon are planning to bring their consumer-direct sales model to the United States this July. 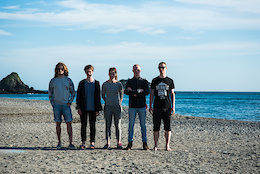 Updated: More info direct from Tom. 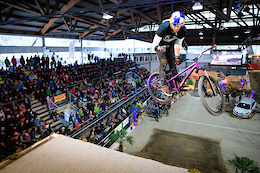 Tommy-G has hurt his ankle while riding training at a skills park in Switzerland. We'll post updates when we get them. 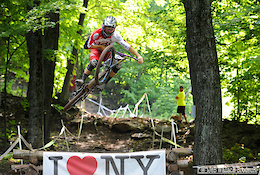 Check out what bikes the guys were riding at White Style this year. 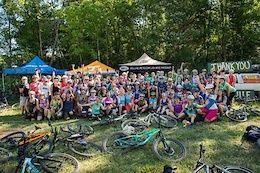 Join Evergreen Mountain Bike Alliance on 22 February to talk with your representatives about funding for mountain bike trails. Full details inside. 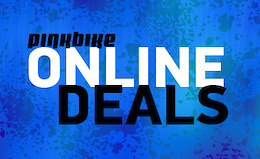 Check out what's on sale this month. 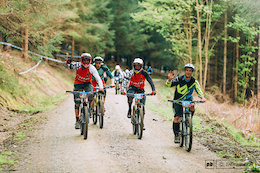 Find out what the Eastern States Cup Enduro Series has in store for 2017, including information about the three separate EWS qualifier CLIF Enduro East events lined up for this season. 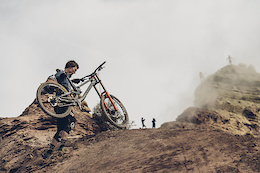 See the best of ShapeRideShoot's work from the past few years featuring the likes of Vincent Tupin, Nico Vink, Brendan Fairclough, Andreu Lacondeguy, Kurt Sorge, Ethan Nell and more. 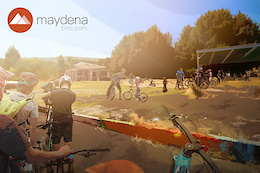 Riding bikes is even better when it's a shared experience, especially when you're sharing it with your children. 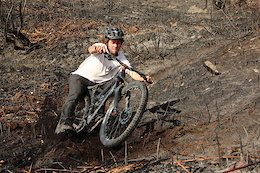 Steven Lloyd talks about how his son, Weston got into riding and their adventures during summer last year. 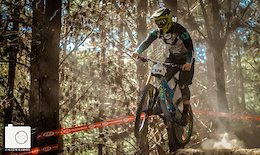 The Singlespeed World Championships return to Rotorua in New Zealand on November 18, and entries are bound to fill up fast. Full details inside. Check out the top Photo of the Day images from the month of January 2017. 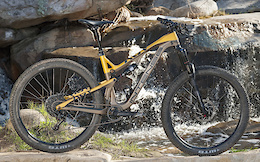 A full season on Intense’s most affordable carbon fiber Plus bike asks as many questions as it answers. Moving to elite this year, Jackson Frew has stepped up his game, training and riding hard to prepare for the season ahead. 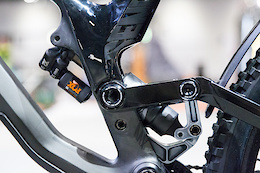 We checked out new products from the likes of Orange, Burgtec, KS, Sweet Protection and more at this year's Bike Place Show. 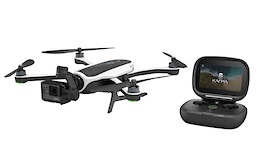 After a brief voluntary recall, GoPro's drone is back. 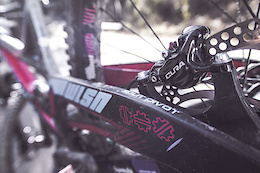 Mick and Tracey Hannah, along with the rest of the Polygon UR team, will be racing on SR Suntour suspension.